Julie Larsen Maher brings conservation to life through photography, writing and graphic design. Her career at the Wildlife Conservation Society spans 27 years. She was hired in 1991 as art director for WCS publications. Thirteen years later, Julie became the WCS staff photographer—the 6th person and first woman to hold that position since the organization was founded in 1895. 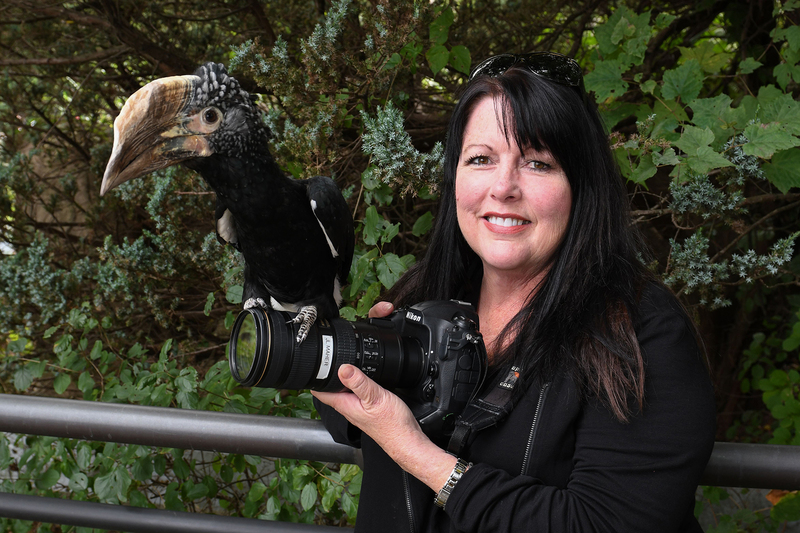 In this role, she documents every aspect of the lives of more than 20,000 animal ambassadors at WCS’s five New York-based wildlife parks including the Bronx Zoo, New York Aquarium, Central Park Zoo, Prospect Park Zoo, and Queens Zoo. In addition, Maher journeys to remote WCS field conservation sites to help tell the story of the science being done by of some of the world’s leading conservationists. Her work skills tell the story of the culture, wildlife, and wild places they aim to protect in nearly 60 countries and all the world’s oceans. Maher also curates WCS’s photo blog, Wild View, which offers a glimpse into the world of wildlife through pictures and encourages both amateur and professional photographers to appreciate the beauty of nature. Maher values her relationships with WCS zoos’ animal care staff including the curators, veterinarians, supervisors, and keepers. She knows they are experts in their fields, and they know when the animals will be at their best for photos like this one of Azul, a Malayan tiger at the Bronx Zoo. 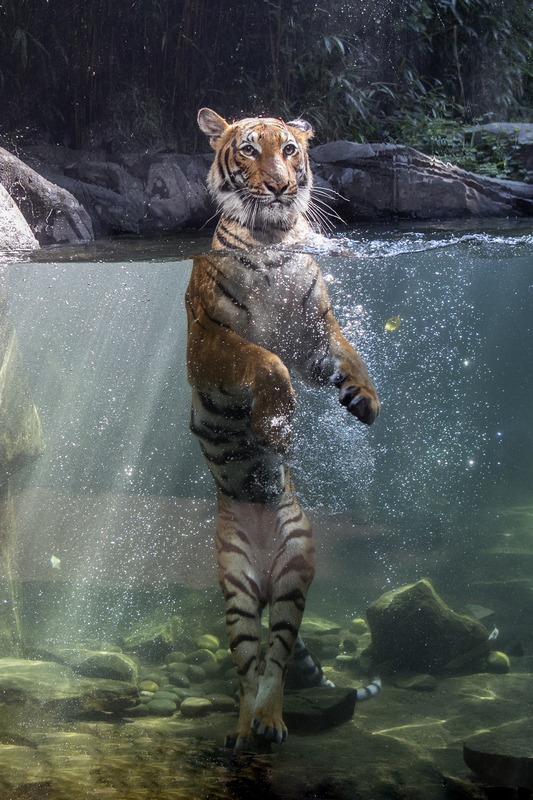 Tigers are one of the few large cats that enjoy the water. On this occasion, the tiger’s keeper was part of the aquatic enrichment as she encouraged Azul’s play from the other side of the glass at Bronx Zoo’s Tiger Mountain. Maher loves her job because every day is different. Her assignments can include celebrities, zoo visitors, architecture, events, landscapes, and of course wildlife. Her photos have won numerous awards and have appeared in countless prestigious publications and media outlets including National Geographic, Associated Press, Reuters, UPI, New York Times, Wall Street Journal, USA Today, New York Daily News, Mongabay, ABC, NBC, CBS, BBC, Africa Geographic, and more. Julie has a BA from Iowa State University and MS from Quinnipiac University.